What to expect from Budget 2017-18? Even before its declaration, the Union Budget 2017-18 has set some precedents by digressing from the usual course of action. This year’s budget will amalgamate railway and finance budgets together, ending an age-old practice of presenting them separately in the Parliament. It has also been moved ahead from its traditional time period of February-end, to February 1 this year. However what really sets the 2017-18 budget apart is that it comes just months after demonetisation of old Rs 500 and Rs 1,000 notes—an exercise the country is still coming to terms with. Although Prime Minister Narendra Modi announced several sops to soothe nerves in his new year’s eve address, this budget will be keenly eyed. Prima facie, the overall intent of the Budget is expected to be reviving public sentiment and economic growth. Considering the government’s push for cashless economy, it is expected that digital transactions will be incentivised in the upcoming budget. The tone of the budget is expected to be populist. 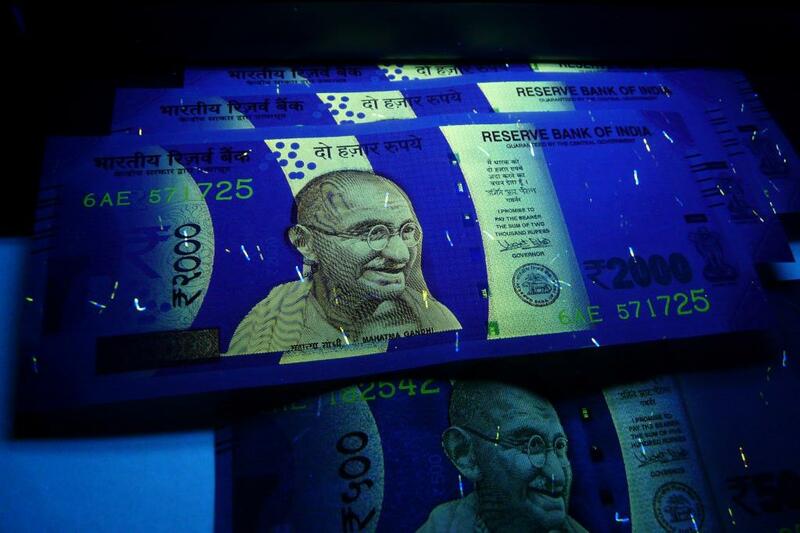 “To meet the expectations following demonetisation, some relief in personal income taxes seems to be a major change expected during the Budget,” says a pre-budget survey by business consulting firm Ernst & Young. It adds that finance minister may consider pushing up the income tax exemption limit from the current Rs 250,000. As demonetisation is said to have dampened consumer sentiment and demand in the already stressed real estate sector, credit rating agency ICRA expects the budget to provide thrust to affordable housing.“With respect to the middle income group, relaxation in the tax deduction limits for housing loan principal as well as the increase in the tax exemption limits from Rs 200,000 currently can support demand from the middle income group,” it says. ICRA expects high priority for infrastructure in capital expenditure. Affordable housing, roads, renewable energy and railways are expected to get a push, with the latter in light of the merging of the Union and rail budgets. “The recent announcements such as interest relief for farm loans for 60 days and guaranteed 8 per cent interest for senior citizens on bank deposits up to Rs 750,000 for 10 years should be fully funded in the budget,” ICRA says. Enhanced allocations for social sector spending will boost sentiment, it expects. Modest relief in the form of reduced direct taxes and subventions to the lower income groups could also be provided, to give a fillip to consumption growth. According to audit and advisory firm KPMG, the budget is expected to bring a road map for Goods and Services Tax (GST) roll out and an agreement on GST rates, increased spend on railways, additional tax breaks to promote start-ups, construction activities and affordable housing. 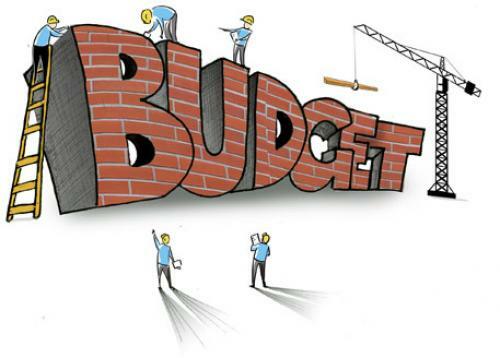 The budget process in India, like in most other countries, comprises four distinct phases. Legislative review of budget implementation: audits of government’s financial operations on behalf of the Legislature. In the Union government, there is a budget division in the department of economic affairs under the Ministry of Finance. This division starts the process of formulation of the next financial year’s Union budget in the months of August–September every year. To start the process, the budget division issues an annual budget circular around the last week of August or the first fortnight of September every year. This annual budget circular contains detailed instructions for the Union government ministries/departments relating to the form and content of the statement of budget estimates to be prepared by them. It must be noted that the ministries are required to provide three different kinds of figures relating to their expenditures and receipts during this process of budget preparation. These are: budget estimates, revised estimates and actuals. Let us consider, for instance, the case of budget preparation in the second half of the calendar year 2011. The Union government would prepare the budget for 2012-13 during the time period of September 2011 to February 2012. In this case, the approval of Parliament would be sought for the estimated receipts/expenditures for 2012-13, which would be called budget estimates. At the same time, the Union government, in its budget for 2012-13, would also present revised estimates for the ongoing financial year 2011-12. We may note here that the government would not seek approval from Parliament of revised estimates of 2011-12; but, these revised estimates would allow the government to reallocate its funds among various ministries based on the implementation of the budget for 2011-12 during the first six months of financial year 2011-12. Finally, ministries would also be reporting their actual receipts and expenditures for the previous financial year 2010-11. Hence, the Union budget for 2012-13 would consist of budget estimates for 2012-13, revised estimates for 2011-12, and actual expenditures and receipts of 2010-11. The ministries would provide budget estimates for plan expenditure for budget estimates for the next financial year, only after they have discussed their respective plan schemes with the Central Planning Commission. The Planning Commission depends on the finance ministry to first arrive at the size of the gross budgetary support, which would be provided in the budget for the next annual plan of the Union government. In principle, the size of each annual plan should be derived from the approved size of the overall Five-Year Plan (12th Five-Year Plan, 2012-13 to 2016-17, in the present instance). However, in practice, the size of the gross budgetary support for an annual plan also depends on the expected availability of funds with the finance ministry for the next financial year. In the past few years, the finance ministry has been vociferously arguing for reduction of fiscal deficit and revenue deficit of the Union government, citing the targets set by the Fiscal Responsibility and Budget Management Act and its rules. Hence, presently, the aspirations of the Planning Commission and Union government ministries with regard to spending face the legal hurdle of this Act, which has made it mandatory for the Union government to show the revenue deficit as nil (total revenue expenditure not exceeding total revenue receipts by even a single rupee) and the fiscal deficit as less than 3 per cent of GDP. This means new borrowing of the government in a financial year cannot exceed 3 per cent of the country’s GDP for that year. Also, during the final stage of budget preparation, the revenue-earning ministries of the Union government provide the estimates for their revenue receipts in the current fiscal year (revised estimates) and next fiscal year (budget estimates) to the finance ministry. Subsequently, usually in the month of January, more attention is paid to finalisation of the estimated receipts. With an idea about the total requirement of resources to meet expenditures in the next fiscal year, the finance ministry focuses on the revenue receipts for the next fiscal. In the final stage of budget preparation, the finance minister examines the budget proposals prepared by the ministry and makes changes in them, if required. The finance minister consults the prime minister, and also briefs the Union Cabinet, about the budget at this stage. If there is any conflict between any ministry and the finance ministry with regard to the budget, the matter is supposed to be resolved by the Cabinet. In the final stage, the budget division in the finance ministry consolidates all figures to be presented in the budget and prepares the final budget documents. The National Informatics Centre (NIC) helps the budget division in the process of consolidation of the budget data, which has been fully computerised. At the end of this process, the finance minister takes the permission of the president of India for presenting the Union budget to Parliament. As per the Constitution, the Union budget is to be presented in the Lok Sabha on such a day as the president may direct. By convention, Union budget has been presented in Lok Sabha by the finance minister on the last working day of the month of February every year. The finance minister, by convention, makes a speech while introducing the budget. The annual financial statement is laid on the table of Rajya Sabha only after the finance minister concludes his budget speech in Lok Sabha. The budget documents are made available to the members of Parliament after the finance bill has been introduced in Lok Sabha, and the House has been adjourned for the day. It may be noted that the budget process in India lacks transparency in one aspect: while enactment of the Budget by the legislature and the review of its implementation are reasonably transparent, the process of budget preparation by the government is carried out behind closed doors.